The four-five matchup between Camden ’99 and Lakewood ’15 provided the most marquee matchup of MSG’s second round action. A battle of styles, a battle of eras, a battle of tempos—this contest provided an interesting musical juxtaposition. Camden rode in on the strength of its ’99 psych-goo, while Lakewood put forth its stunningly beautiful melodic theme. In the end, however, the molasses of Camden got the better of Lakewood, as the New Jersey rendition jumped out to a comfortable early lead and continued to score just enough to hold off several comeback attempts from the Summer ’15 highlight. The two-seven matchup pitted two versions, almost two decades apart, that are as different as can possibly be—the wooly and outlandish exploration of Jones Beach’s Summer ’95 behemoth versus the smooth, thematic playing of Hartford’s Fall ’13 standout. The two squads played each other incredibly tough, but the Long Island monster held the lead from wire to wire. Hartford pulled as close as it would come within the games final minute, but never got over the hump. The sneaky-powerful two seed rolls on with a mission to dethrone more widely known versions. This three-eleven matchup saw two classic 1994 Tweezers that are household names—Bomb Factory and Laguna Seca. After pulling a huge upset over Blossom 15, Laguna Seca looked to shock the world by sending the Bomb Factory packing. But the California, multi-band-festival version couldn’t harness its first round magic and got run out of the gym by the iconic Dallas rendition. This was an outright drubbing, and the victory sets up a highly-anticipated Sweet Sixteen matchup between Bomb Factory and Jones Beach. Speaking of a drubbing, Auburn Hills annihilated the upstart Gainesville version from Fall 95 with an eye-popping score differential. The Palace Tweezer strolls into the Sweet Sixteen without breaking a sweat over its first two matchups. 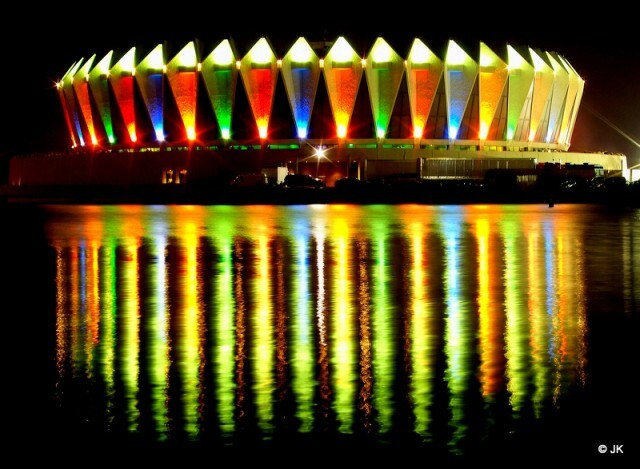 The tournament starts now for one of the best Phish jams of all time. Everyone had this Magnaball-Island Run second-round matchup circled before the tournament started, but it turned out to be surprisingly non-competitive. These versions hail from two of Phish’s most revered events, but whereas the Magna version was, arguably, the highlight of the weekend, the Island version was practically an afterthought to the run’s countless other-worldly jams. Magnaball ran away the contest in the second half in a thumping that few saw coming. The Great Went’s afternoon classic coasted to victory in its second round match-up, maintaining a comfortable 10-plus point lead from early in the first half. The impeccable and buttery Alpine version showed some fight in scoring more than expected against the Went’s vaunted ’97 zone defense, but the result was never truly in question. The Gorge region’s second festival version advances, and the Great Went will surely make some noise in the the next round. Following the trend of the Gorge Region, this Battle of the Lakes resulted in yet another blowout as Tahoe easily dismissed Placid. The tour-ending version from Fall ’95 proved no contest for the fan favorite from Stateline, Nevada, as the third Fall ’95 version bows out of the tournament. This sets up a prime-time affair between The Great Went and Lake Tahoe next round. This battle of 1998 versions provided little drama, as Vegas just didn’t have the mustard to get within an arm’s reach of Alpine ’98s historic outing. Alpine’s victory cemented an all-chalk second round in the Gorge region, and suffice it to say, the next round will provide more drama than this one. This entry was posted	on Wednesday, April 17th, 2019 at 9:01 am	and is filed under Uncategorized. You can follow any responses to this entry through the RSS 2.0 feed. Both comments and pings are currently closed. This has been a fantastic listening exercise. So much fun in my own head. Front Range BB: I’m heading down on Friday afternoon after morning shred. Let’s party down. ^enJoyed THIS anoché…IT lifted my spirits and has reintroduced some “perspective” for Me–>wishing the same to all of Yous’!¡! Good to see your shining face there Baker. Much love buddy. May your spirits continue to be lifted. My strongest memory of New Haven 95 is the circular concrete car ramp I had to drive up and down at the parking garage next door. The Coliseum was a concrete bunker too. Only 3 dates remain on the crazy good Nick Mason Saucerful of Secrets tour (NYC tonight, Philly, DC). I was lucky to catch it twice and I’d easily go thrice as I love that primal acid rock Floyd sound. That’s raw sumo. Dank waters and mason linkage, too. This bracket has gone from listening to jams to listening to whole sets. A lot of these jams, not surprisingly, are in really good sets. I think that’s part of what makes Tahoe Tweezer so impressive— it just kind of comes out of nowhere. I’m never sure if my vote gets counted but I just voted anyway. Will the ghosts ever come out of the forest again after tonight? A friend saw the Holographic Zappa tour opener at the Cap last night and loved it. I’ll find out for myself on Friday in Boston. Huge amount of new material, creativity abounds. Sure, not every song is a keeper, but consider how special and unique this project was. An incredible night at the Greek. Powered by WordPress v 5.1.1. Page in 0.661 seconds.